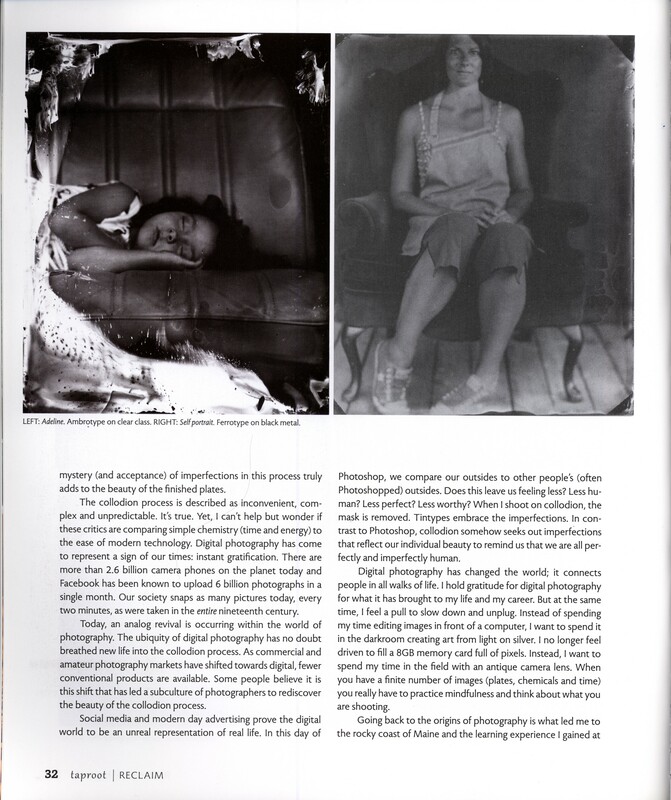 Making ferrotypes resembles a ceremonial act. The set up, composition, and detailed focus are all part of the magic. 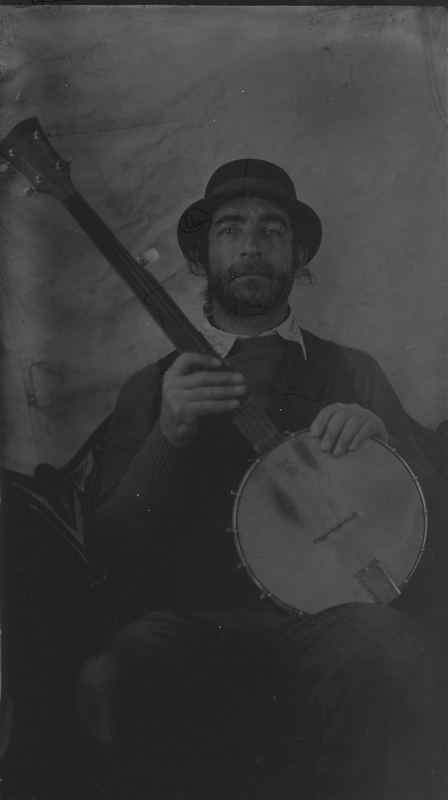 Tintype photography is a handcrafted art. The element of chance is a key player in this photographic method, rendering it very difficult to control. 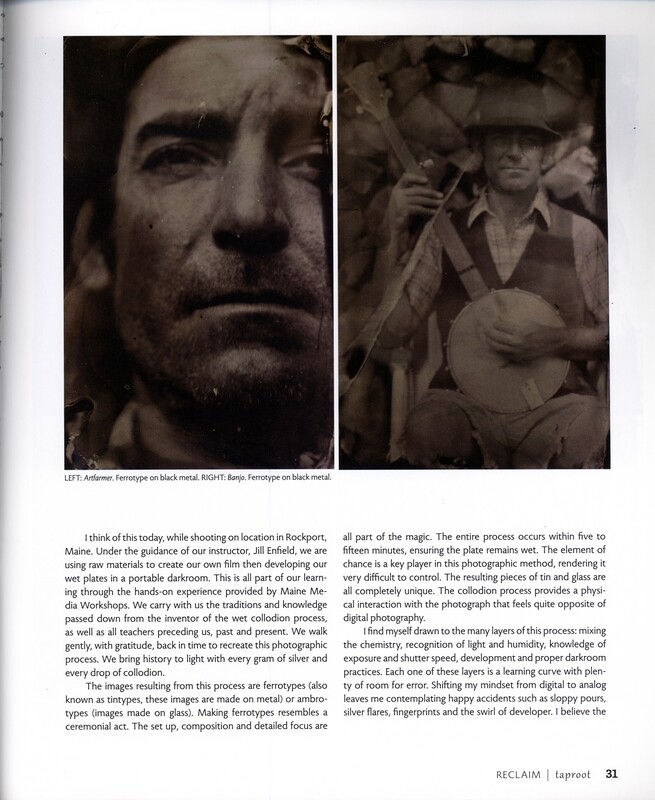 Making art and images from silver and collodion provides a physical interaction with the photograph that feels quite opposite of digital photography. It is one part silver two parts magic. I make ferrotypes in my Portland, Maine studio and enjoy shooting portraits as well as fine art. 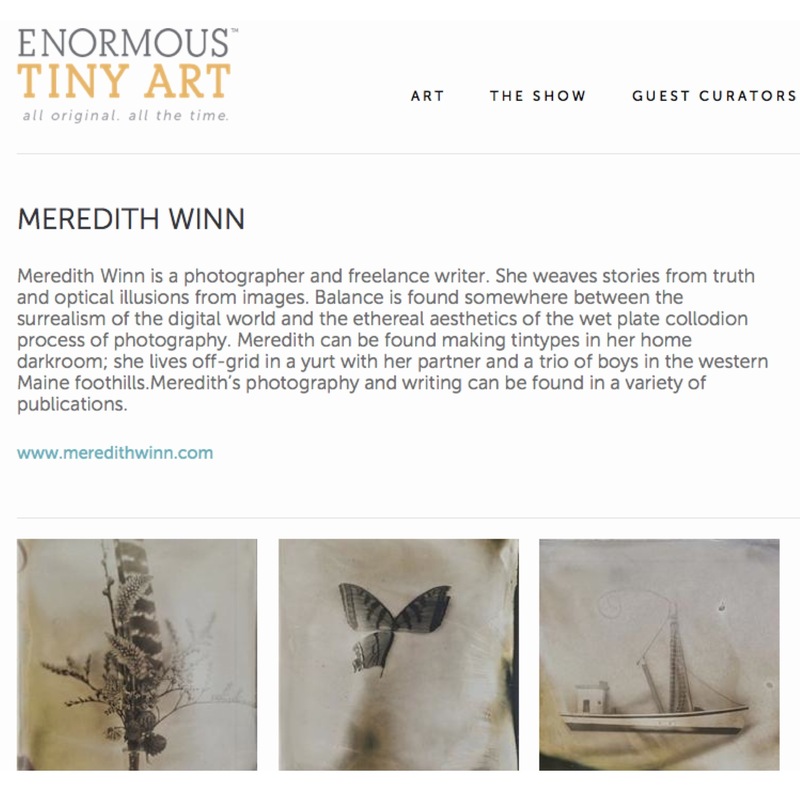 My work is represented by Nahcotta Gallery in Portsmouth, NH and shown in the Enormous Tiny Art Show #15 (winter ’14) as well as the upcoming ETA show #16 (fall ’14). 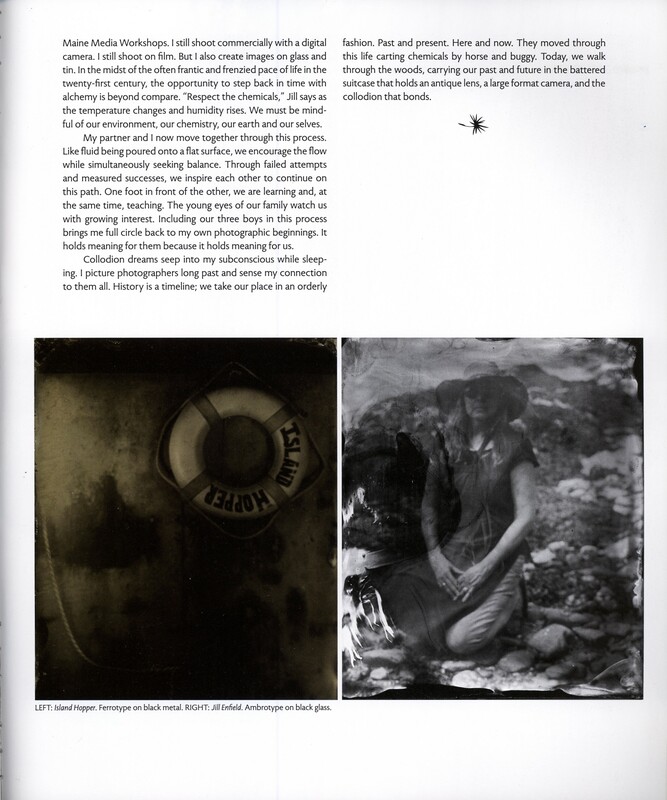 My tintype photography will be part of the GOOD MAIL DAY exhibit at Artstream Studios Gallery in Dover, NH (Nov ’14) My partner and I are looking to offer workshops on the collodion process in 2014/2015. 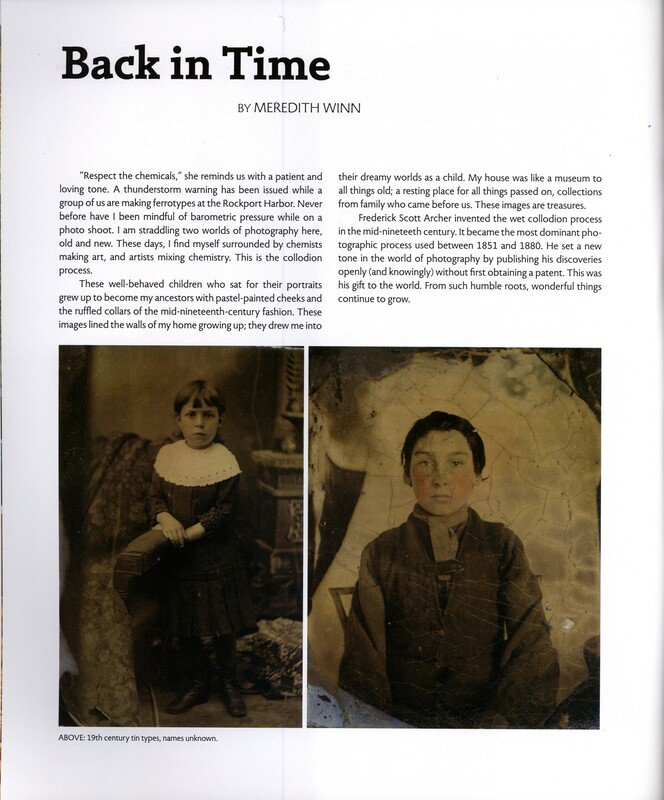 You can read more about my tintype photography in the Reclaim issue #8 of Taproot Magazine and I share my history with the collodion process over on Shutter Sisters (March ’14) Feel free to check out my collaboration with Stephen Pullan IV, we are Maine Tintypes.